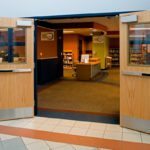 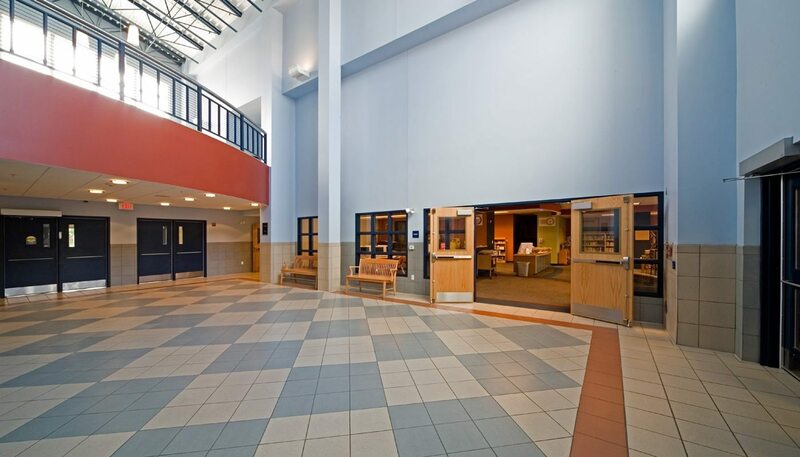 Presque Isle Middle School’s 30,000 SF south-facing addition includes a new welcoming entrance, a library, a 465-seat performing arts center, and south-facing classrooms. 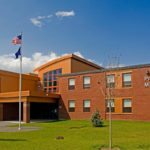 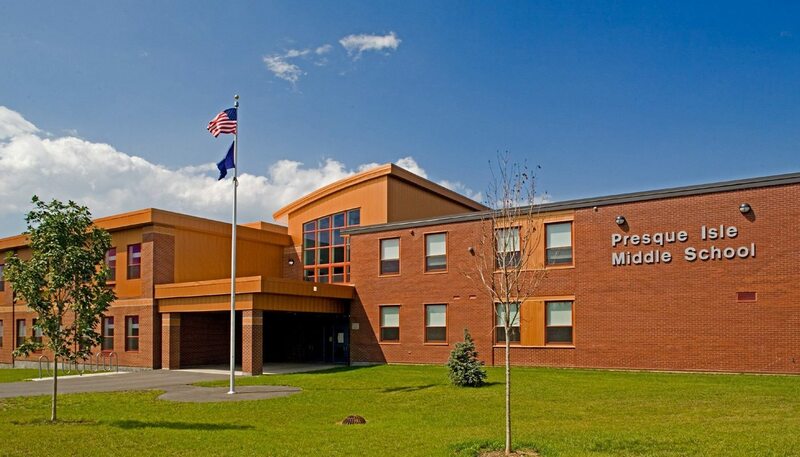 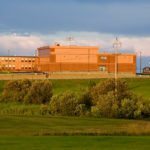 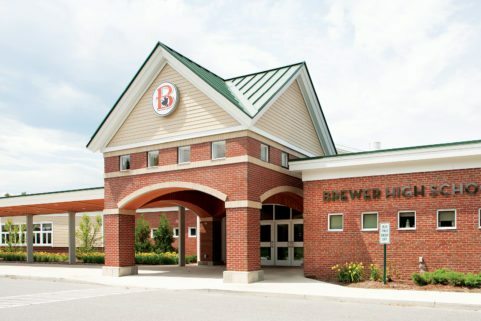 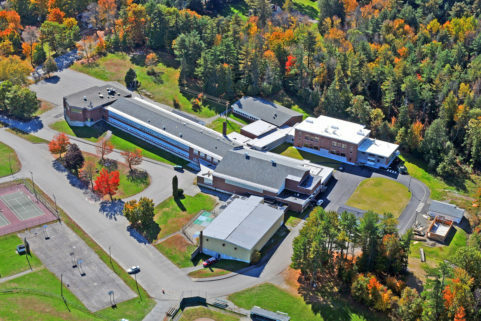 Aging facilities and declining enrollments necessitated consolidation of Presque Isle’s two middle schools. 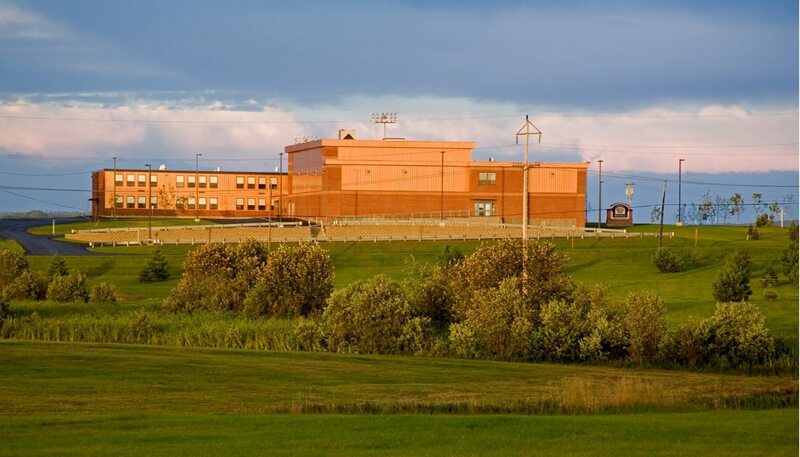 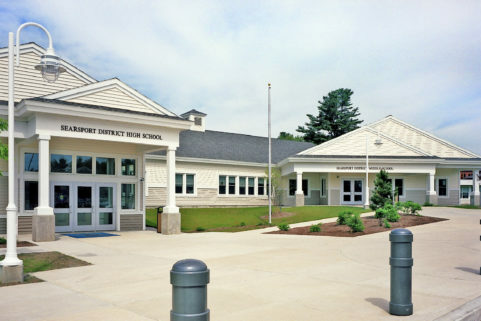 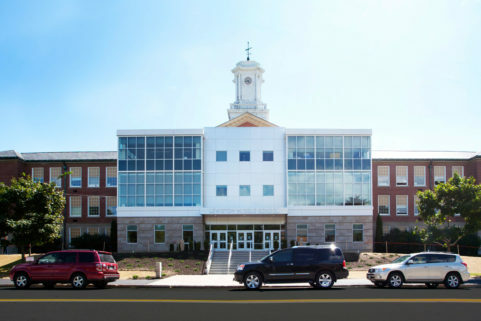 One school building was taken off line, while the other received renovations and an expansion to accommodate the entire middle school student population. 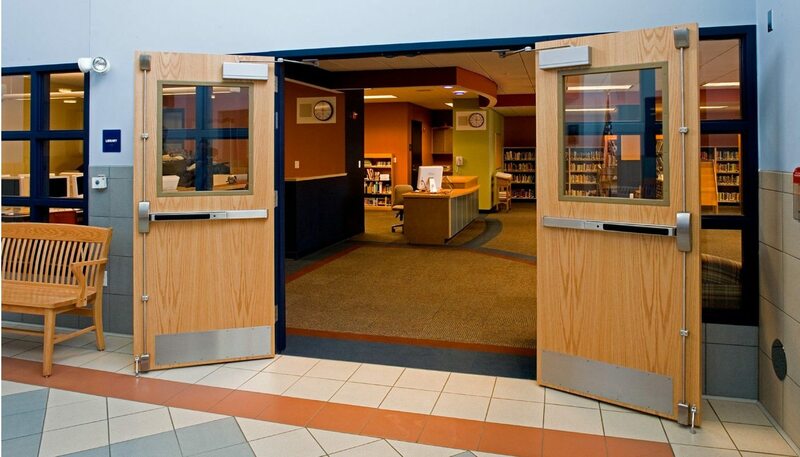 Discussions with administrators and teachers we key to this project’s success. 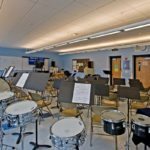 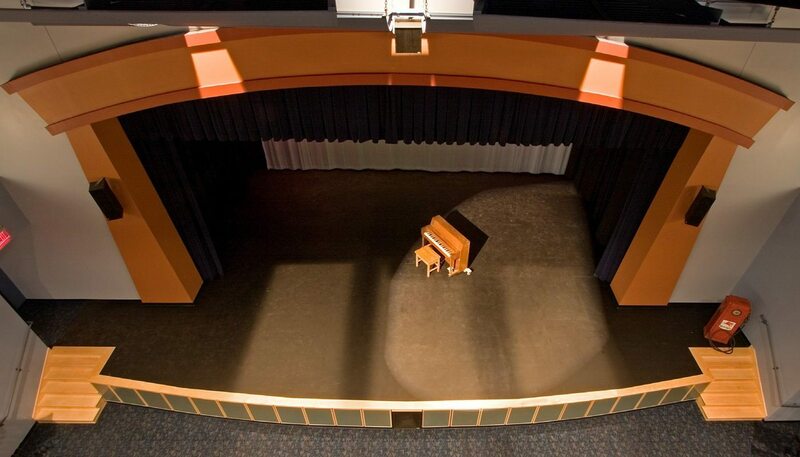 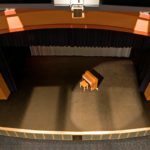 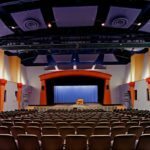 The renovations gave an old building a new look, and the floorplan gave teacher more opportunity for collaboration, and the school’s new performing arts center is enjoyed by the entire community. 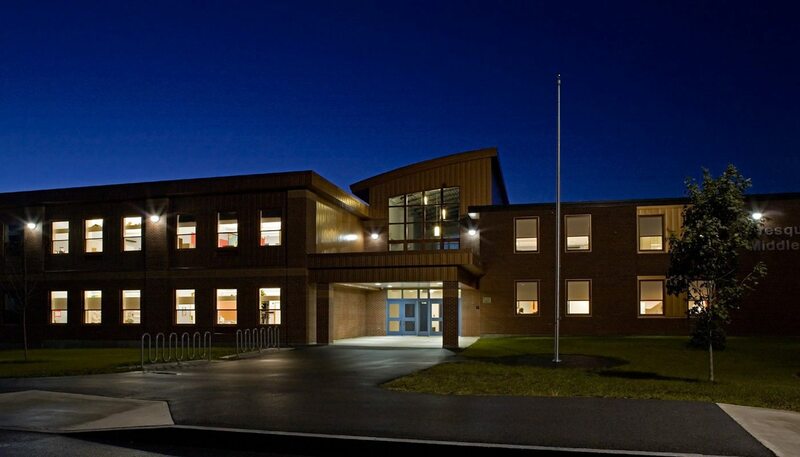 Energy efficiency and air quality improvements were important parts of the equation. 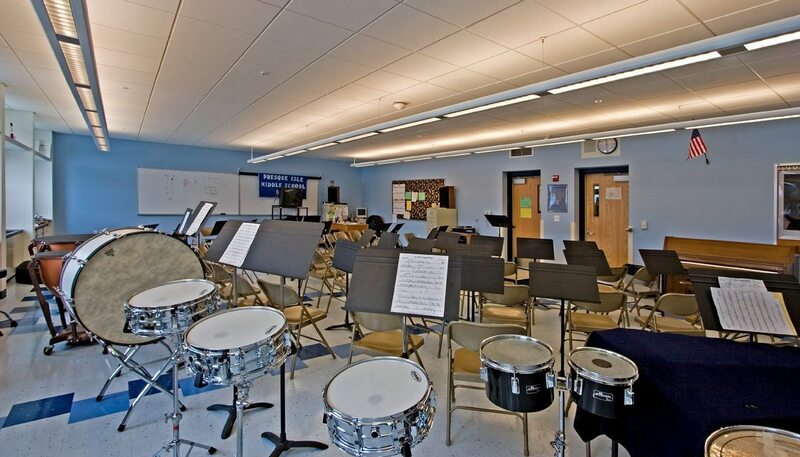 HVAC systems consisted of upgrading existing classroom unit ventilators with new units including DDC temperature controls, new steam-hot water heat exchanger to provide hot water to heating units in the building addition, and air handling units to serve the auditorium and library. 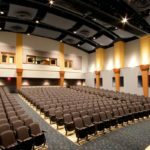 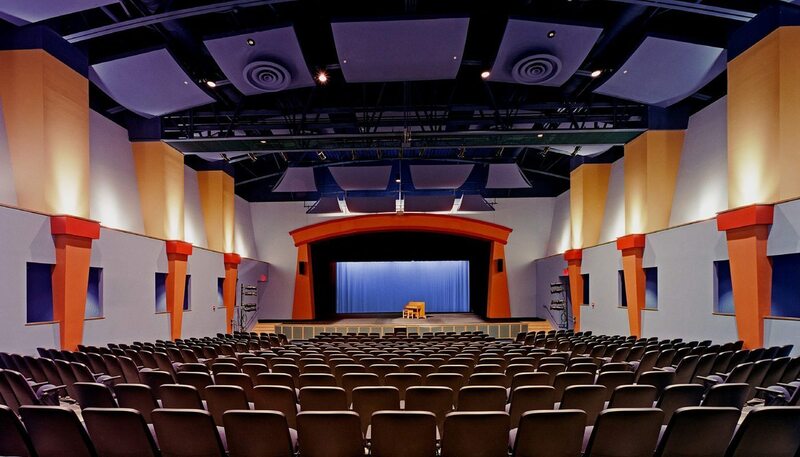 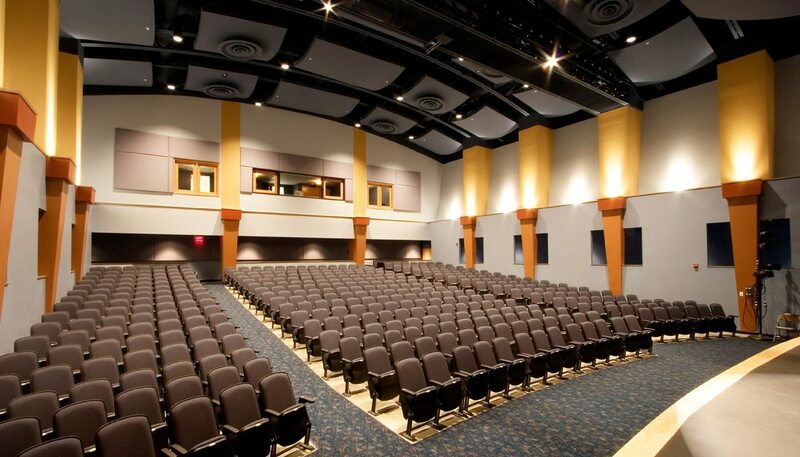 The auditorium was provided with air conditioning to allow for year round school and community use. 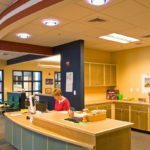 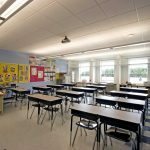 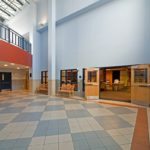 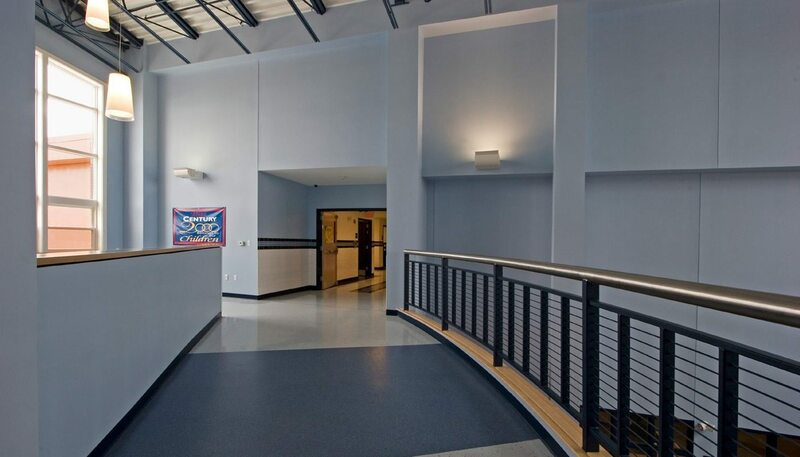 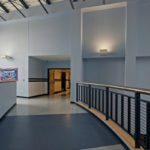 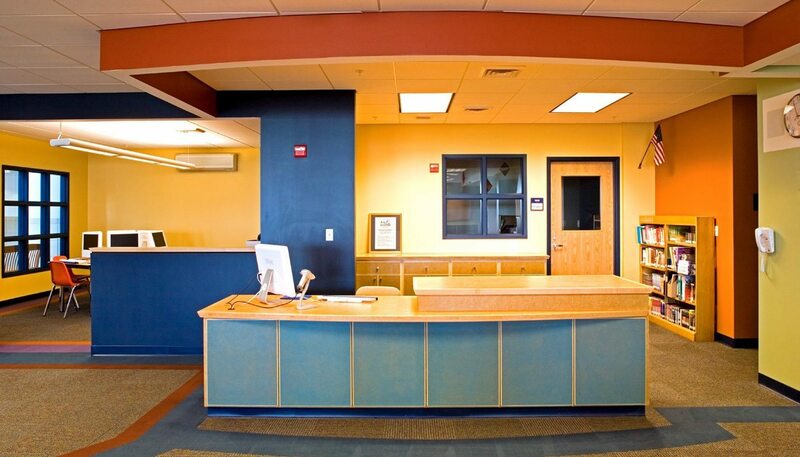 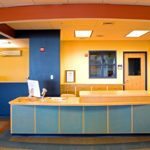 After completion, the energy consumption of the single renovated and expanded building was substantially less than the two individual school buildings had been in previous years. 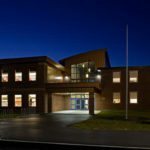 This was achieved through building envelope improvements such as insulating exterior walls and applying new wall cladding. 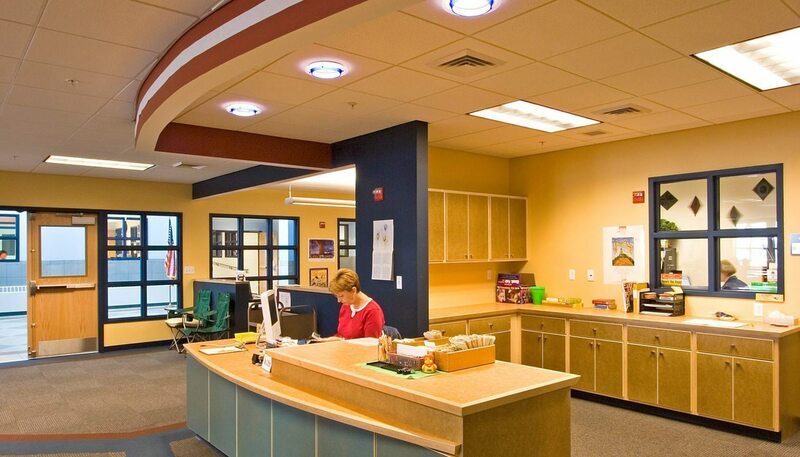 Lighting improvements such as new light fixtures, occupancy sensors and interior light shelves work together to maximize natural daylighting and reduce energy use further. 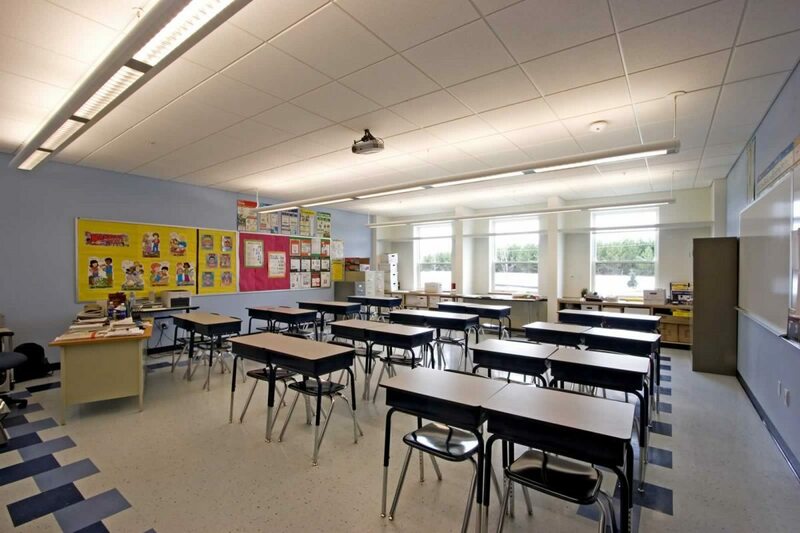 Both room darkening and light filtering roller shades allow for optimal solar control.